Please select an option Blue Pink Grey Please select a color. Are you tired of slipping socks when doing yoga? 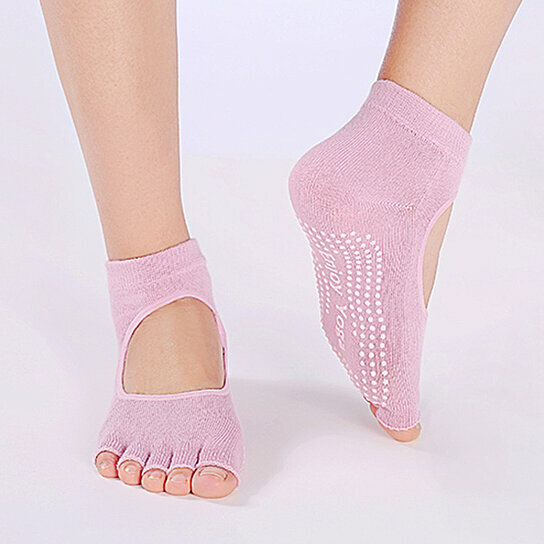 Jelinda non-slip yoga socks give you a balance, comfortable and stable experience when doing yoga practice,offer maximum traction grip on surface,prevent from any injuries. The bottom of socks have many dots,non-slip,keep socks stay firmly on feet all the time,create a comfortable yoga experience,it won? bother you anymore,colorful socks makes you happier and have a good time during workout. As different computers display colors differently, the color of the actual item may vary slightly (0.4-1.2 inches error) from the above images.